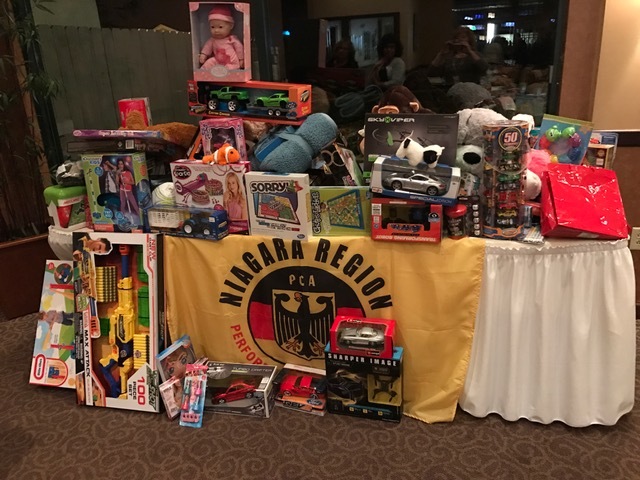 Niagara Region PCA has a long history of charitable giving. Each year, Niagara has set aside funds for donation to a wide variety of worthy causes both locally and globally. Many of our members have a deep connection with a variety of charities and as a group we work towards finding ways to contribute. 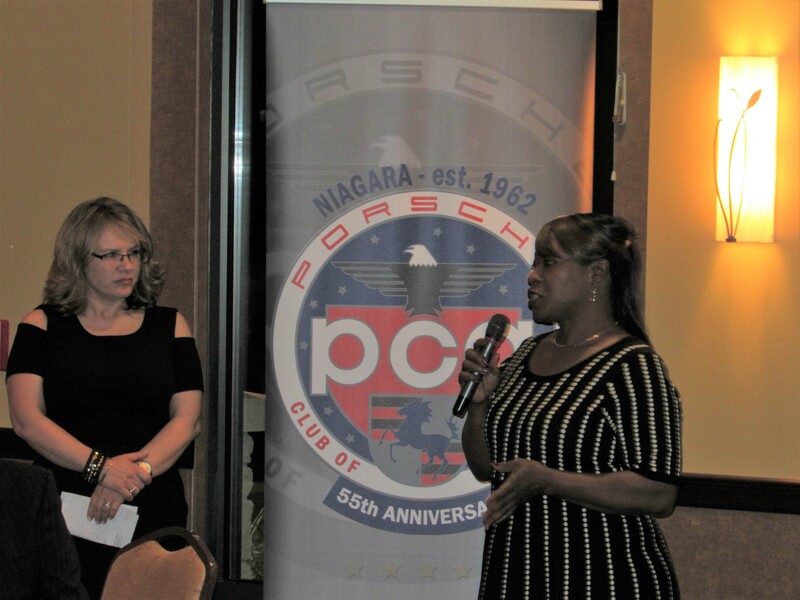 In addition to Niagara’s annual giving, members of the the Niagara Region have been involved in establishing a charity. At Niagara Region’s 2013 Annual Fall Dinner, we were fortunate to enjoy the company of Joe and Gale Ajavon. Joe and Gale Ajavon are close with many of our members and their beloved son Joel was killed in a car accident in August of this year. Just like his father, Joel Ajavon was always ready to help a friend. Many of his friends have expressed their appreciation for what Joel did for them. He truly made a difference in their lives. In honor of Joel’s life, we have begun the process of creating a permanent memorial. His wonderful spirit and love of the cars and the culture that brings us together is a great opportunity for giving to a worthy cause. Our objective is to establish a fund that would award an annual scholarship to a worthy student studying Robotics or Engineering, which were Joel’s educational choices. Worthy recipients will be chosen based on achievement and financial need. 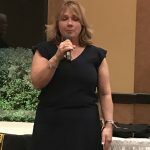 As the rules and regulations governing scholarships are complex, we have enlisted the help of a special adviser at the Rochester Area Foundation who will assist with administration, guidance, IRS filings, etc. Our ultimate goal is to reach a self-sustaining balance of $25,000. This amount will allow the scholarship fund to fund itself through investments, and provide scholarships year after year. 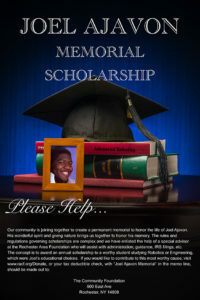 If you would like to be a part of funding this most worthy cause, you can do so at www.racf.org/Donate, or your tax deductible check should be made out to: The Community Foundation, with “Joel Ajavon Memorial” in the subject line. As of July 11, 2014, we have exceeded our goal of $25,000! This fundraising is not over and we intend to keep the total growing. We would like to continue to offer scholarships on a yearly basis! ✦The Joel Ayite Ajavon Scholarship for 2014 has been awarded to Frederick M.Griffin! 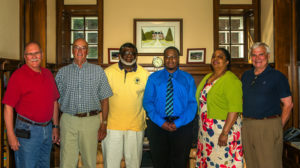 July 11, 2014 – The trustees and family of Joel Ajavon are pleased to announce that the Joel Ayite Ajavon Scholarship for 2014 has been awarded to Frederick M.Griffin. Fred is a fine young man who will be attending MCC this fall and was selected from a very qualified group of candidates. He has studied Robotics for 2 years , is a Rochester based student and and has promised to keep us updated on his progress throughout his studies. The generous donations that you all made in Joel’s memory are what made this day possible. 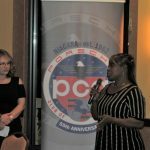 The committee has pledged to continue to raise funds in the hope that next and future years can be even greater amounts of financial support. The Scholarship fund now stands at $ 28,369. and is a true testament to the spirit of Joel as supported and honored by his friends and family. 2018 has been as phenomenal year for our charitable activity. We have partnered again with Community Action of Orleans and Genesee Counties. 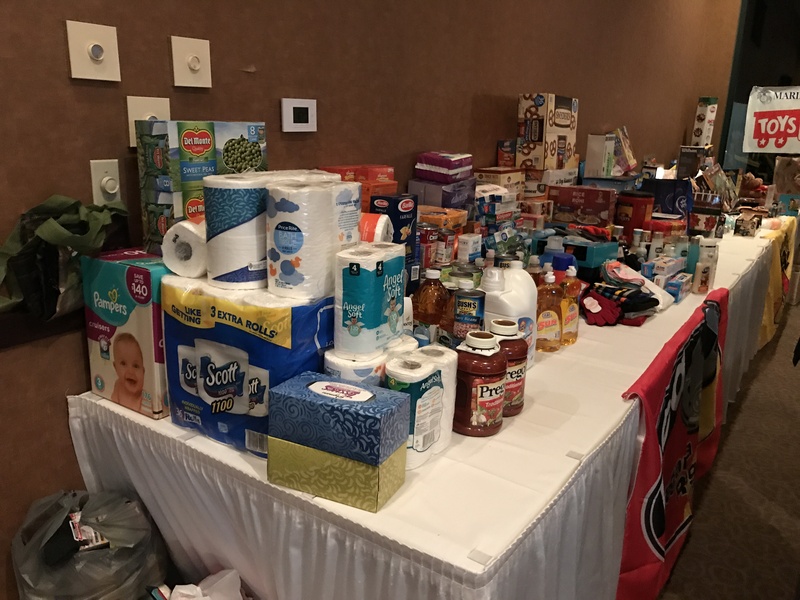 We filled tables with the daily necessities that local families need on a daily basis. 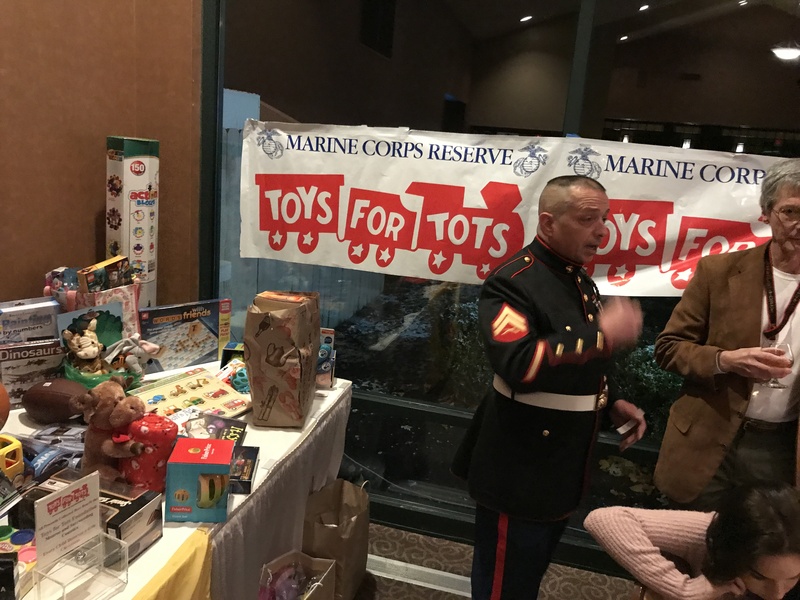 We also, worked with Toys for Tots of Rochester to help fill their toy bins to help make a happier holiday season for disadvantaged children. Many thanks to all who helped make this another successful year. 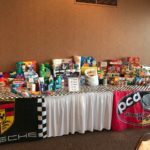 ♦Community Action of Orleans & Genesee was our Food Drive recipient. 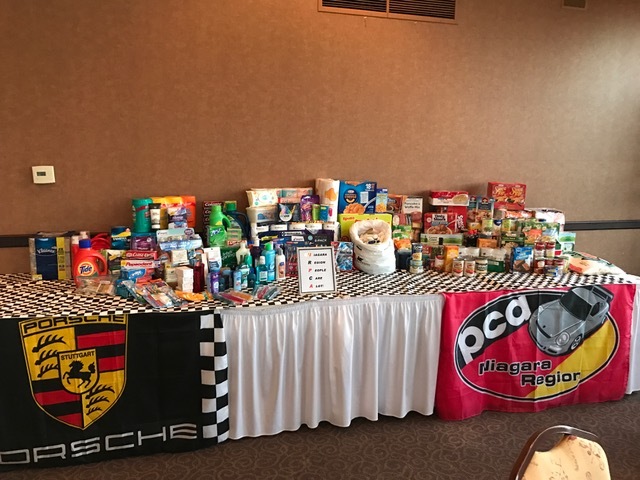 This year as we ended our driving season and gathered to celebrate our 55th anniversary as a region wit hin PCA, the members of this amazing club showed yet again their generosity. 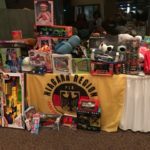 For yet another year, the NRPCA members filled tables to overflowing with vital supplies and toys for two local very deserving groups. Thank you to everyone who helped make this the wonderful success that it was. 50-50 split charity winner was Monroe Community Hospital for $666.00. That was the total of all of the 50-50 splits for the year. 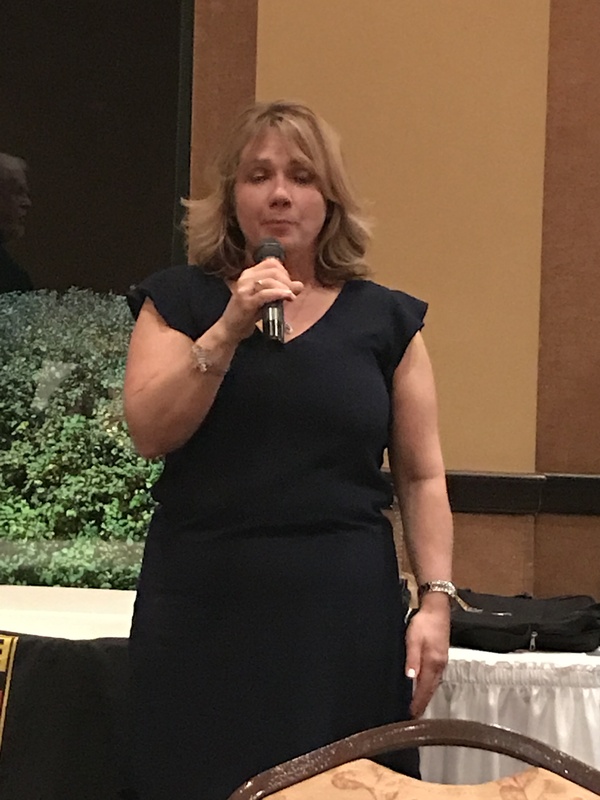 Thanks to all who participated at our monthly meetings and social events. 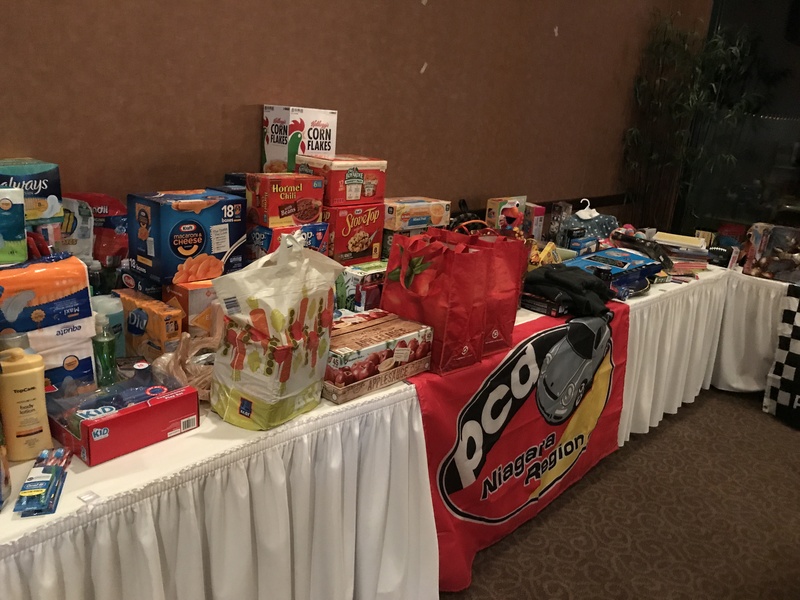 This year NRPCA members again opened their hearts and flooded Terry Hills banquet hall with toys and non-perishable food goods to help two local agencies help make a little brighter holiday season for those less fortunate. 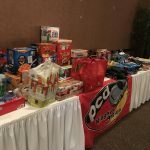 Our Food and Toy drives were overwhelming successes. Thank you to everyone who participated. ♦Community Action of Orleans & Genesee was our first Food Drive recipient. ✦Finger Lakes Land Trust for a gift of $100 made in memory of Sam Argetsinger. 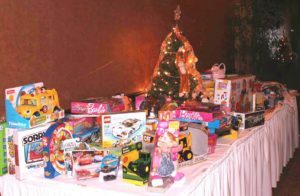 Also, the Buffalo News Neediest Drive benefited from the generosity of our members, as they yet again filled the table with children’s toys. 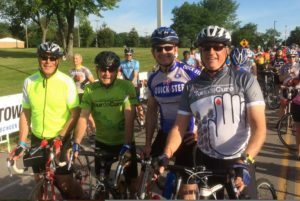 June 8, 2014 – Team Niagara Cycling rode the Tour de Cure to help stop Diabetes and accomplished all of the metric century (a five hour marathon) . We raised over $4,000. and were led by Captain Peter Swift. Team Members – Koen Goorman, Peter Swift, Anthony Giovinazzo, Ken Buschner. 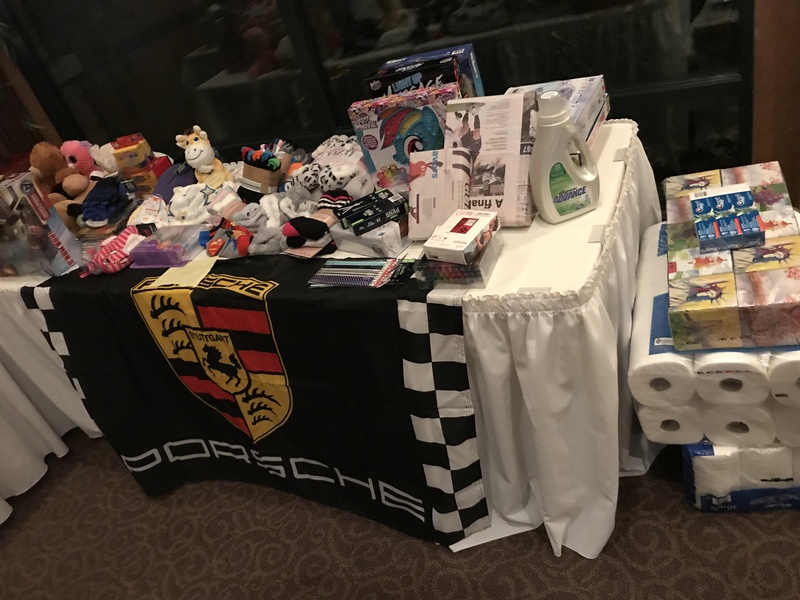 At the 2014 Fall Dinner, members brought a PILE of toys for the Kenmore Volunteer Fire Department’s annual food and toy drive. Thank YOU for your generosity. 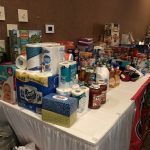 What a great year for giving! Congratulations to the winners and their charities! 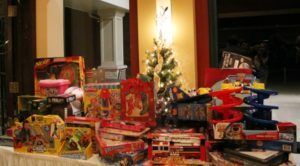 In addition, a large number of toys were also collected for the Sojourner House in Rochester, NY. Thank you to everyone who donated! Thank you to all of these organizations for doing what they do on a daily basis for members of our community. We are honored to be able to provide these financial contributions. 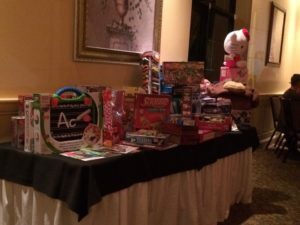 We also collected an abundance of toys for the Kenmore Volunteer Fire Department’s annual food and toy drive. Thank YOU for your generosity. 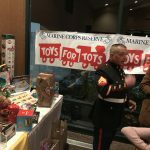 We also collected an abundance of toys for the 97Rock Christmas is for Kids toy drive. Thank YOU for your generosity. ✦ $2,000 to Multiple Sclerosis Society, Upstate NY Chapter, on behalf of club member Ken Buschner and family. ✦ $2,000 to The Open Door Mission, on behalf of last year’s Deegan Award winner Curt Hinchliffe and family. 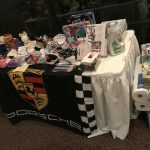 These links are being provided as a convenience and for informational purposes only; they do not constitute an endorsement or an approval by the Niagara Region PCA of any of the products, services or opinions of the corporation or organization or individual. The Niagara Region PCA bears no responsibility for the accuracy, legality or content of the external site or for that of subsequent links. Contact the external site for answers to questions regarding its content.